Are you non-native English speaker? Are you facing difficulties in English writing? If the answer to any of the above questions is yes, then here is good news for you. I am very happy to tell you that you can improve your writing skills by these ten tips. There are many people who are struggling in writing. If your first language is not English, then there is a high chance that you face a bit problem in English. When it comes to business, writing plays a vital role in the communication. Every communication takes place only in written English. For the better communication, you need to improve your writing skills. So are you ready to improve your writing skills? Let’s start. Why error-free writing is important? Error-free writing is the most important part of any person's professional life. If you are a journalist or content writer, then writing skill plays important part in your whole career. If you are an employed for writing ability, then the primary requirement of that job is an error-free writing. When any communication takes place in the corporate world, it is writing only. Most corporate people spend their fair amount of time by doing emails, writing notes and letters, by twitting on Twitter. All this includes writing. 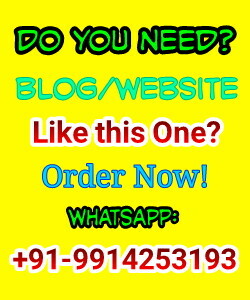 If you are a blogger, then each and every post of your blog goes to the many people. So if you make any mistake in your writing, that will affect your blog. So good and error free writing is a need of today's world. Tips for "How to improve writing skill"
Before you start writing, you need to have a strong base of English. So, first of all, you need to learn basic. For learning basic, you don't need to go to any classes. You just need to search the internet and learn some basic things like articles, noun, sentence structure, tenses, active and passive voice, etc. once you are ready with your Basic English, you can go ahead. “Practise makes man perfect” this also applies to writing skill. You need to read each and every day. By reading only, you come across new sentences, new spelling, and the new style of writing. That is the way how you learn. You read something new, and you implement that in your writing also. After reading, you need to write a lot to improve. If you write every day, you find out what mistakes you are repeatedly doing. So you can work on that mistake and improve your writing skill. This is the best way to learn proper English writing. Whenever you like some article or blog post, bookmark them. Analyse that post in your spare time and find out which sentences, phrases and paragraphs you like. Then find the similarities between those. By this way, you find some unique phrases and writing style. By using those styles, you can improve your skill. No one can write without a plan. There is very few experienced person who can sit and write without having a plan. Before start writing, you need to prepare a proper outline of your topic. Outline of the topic need not to be complex. It is just a combination of different section which comes in a particular order. Outline works like a road map for you. If you lost in between you can trace back to the desired point. Finding the right words for writing is very crucial in writing. You can turn an uninspired sentence into the sentence that people will remember for years. This can happen by the proper use of words. The word should convey the proper meaning of the sentence. If you are using any words, then it may happen that the entire meaning of the sentence will change. Draft means the first version of your writing. Sometimes your writing becomes better when you take a break and write work on the second or third draft. You can add or remove some points if you work in multiple drafts. One should always break his task in multiple drafts and then work accordingly. If you are writing on some topics daily, then you need to verify your progress. So having a friend who knows proper English is very useful. You should take some suggestion for your writing from your friend and start working on that. If you find any difficulty, you can contact your friends and take help from them. You should write your opinion on the particular topic. There are many articles on the web for any topic. That doesn't mean you write whatever is given on the web. You should know what your thought on the topic is, and then you should write. By this way, you can express your thoughts more effectively. You need to research more and more before writing your content. If you have done proper research, you can write content which covers each area of topic. If you write without research, then some of the points of content you will miss. This will harm your writing skill. You should read at least ten articles related to your topics and then start writing. So you have a clear understanding of the topic. You need to some experiment in your writing. Don't stick with one format of writing. Try to be flexible enough. When you write in a different way, you learn a lot. You need to evaluate yourself in each and every format. By this, you come to know that in which format you are best. Then you can write and improve accordingly. This tool is your best friend if you are making lots of spelling and grammatical error. You also get word suggestions which will enhance your writing skill. There is two version of Grammarly is available. One is free, and the other is paid. There are lots of functionalities available in paid version. You can check each and every thing like grammar, punctuation, sentence structure, etc. with the help of Grammarly. I am using Grammarly to enhance my English writing from last six months, and I strongly recommend you to use it. Grammarly Review 2016: Best and Easy Way to Learn Engslish Online! To use respelt, you can copy and paste the entire article into the dashboard, enter your URL or enter your RSS feed. This tool is used to check the spelling errors in articles. You can also correct your mistake with the help of suggestions. This is an awesome tool for writers and editors who want to ensure that there is no spelling mistake in their writing. This tool ensures that your writing is as clear as possible. The tool is used to ensure that the long and complex sentences are written properly. When you see your sentence in yellow colour, this is the indication that you need to spilt your sentence. Red colour shows that your sentence is too much hard for your readers to understand. 1. Keep it as simple as possible. 2. Avoid using verbs in a passive voice. 3. Always remember the basic rule of the grammar and write according to it. 4. You should check your spelling and correct it if necessary. 5. The content must be user centric. The user should attract by your content. 6. Before start writing anything, know your audience. For what type of people are you going to write? Are they all expert or layman? You should ask this question before writing. 7. Do more and more research and then start writing on any topics. 1. You should take a break before proofreading your articles. If possible write a post one day and proofread that post on the next day. 2. Choose a quite place for proofreading. So you can give your maximum attention in work. 3. Read aloud. By this way, you can come across the wrong sentence structure. 4. Correct the error when as soon as you found. 5. Use some proofreading tools. If you are looking for a single recommendation, then this is the only tool you should use. This is the best tool for proofreading too. 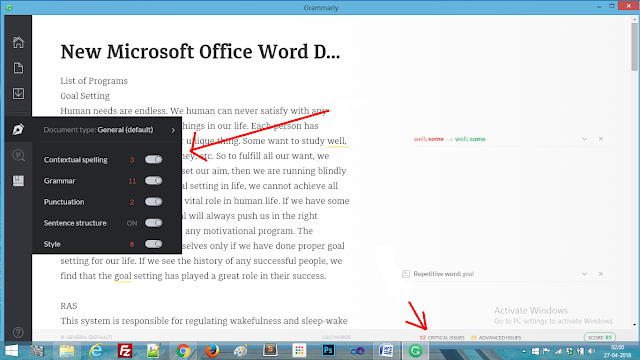 You just need to copy and paste your article in Grammarly, and it will automatically show you the mistakes. This tool is very helpful for bloggers and editors. This tool will also detect plagiarism. So you can use this tool as plagiarism checker. I am using this tool to proofread each and every article of mine. Try Grammarly The best Proofreader Tool! You need to paste your text in proofreadbot and then it will check all sorts of grammar and spelling mistake. This tool is bit slow, but it will produce a comprehensive report on all the errors and suggestions related to the proof of your text. 2. Before you start writing, read others. 3. Have a list of favourite expression. 4. Keep in mind who is your reader. 5. Make your writing interesting. 6. Read and write as much as you can. 1. Don’t use slang and jargon. 2. Don’t write big sentences. 3. Don’t use words which you don’t know. 4. Don’t use same words again and again. 5. Don’t try to make weak words stronger. Writing is a skill by which you can do anything in this world. If you have a good writing skill, that means you can make your career with that skill. You can stand out from others. You can improve your writing skill by above ways even if English is not your first language. You just need to follow the above tips. The important thing while following above tips is that you need to be patient. You cannot improve your writing skill overnight. So you need to trust the process and keep practising. There are many tutorials available on the internet by which you can enhance your English. If you like this post, do share it with your friends. Try them to improve their writing skill also. This Article has been written by Nayan Kariya, Editor of TechiesBlogPoint. He writes for blogging, WordPress, SEO, how to make money online etc. He likes to help newbies to create and earn from their blog. Message: I hope that you have enjoyed '10 Actionable Tips to Improve Writing Skills [With Online Tools for Help]' article. However, if you want me to deliver more items, then please share my post. You can use Social Sharing Widget provided at the end of every post. After all, Sharing is Caring! We have the grammar check sentences. There is clear concept about grammar composition. It would be really helpful for you. Good post!